This photo from South Korea's Cultural Heritage Administration shows the remains of an old farm house in Goseong, 150 kilometers (93.2 miles) east of Seoul. 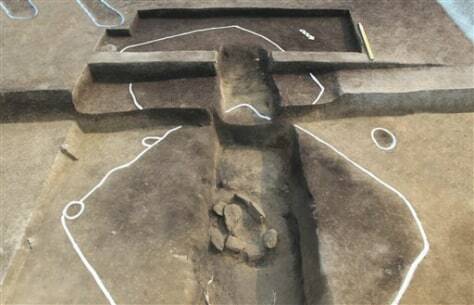 The site may be up to 5,600 years old — more than 2,000 years older than what is now the second-oldest known site, which also is in South Korea. The white lines drawn with paint on the ground indicate the outline of where the house once stood.